When you feel the rhythm of a song driving you, making you dance faster or run faster, it is usually not the lead guitar that causes this. Neither it is the drum set, surprising as it may seem. The true culprit for your feet going a certain speed is the bass guitar. The tones, thick as honey, that cover your brain and make you move to the music without you ever realizing. The bass guitar is the reason why music has so much dimension. So when someone tells me they don’t understand the point of a bass guitar, I know for a fact they don’t really understand music. If you are one of these people then this short post is for you. Learn about why the bass guitar is important, how it works and why every band has a bass guitar player. What is a Bass Guitar? Think electric guitar. Now subtract two strings, give them a deeper tone and more power. You get a bass guitar. This definition is a little simplified, and yet there is no point in arguing that it is basically right. Contrary to popular belief, the purpose of the instrument is not to keep rhythm. Bass guitars are versatile instruments capable of solo performances, beautiful and funky progressions and many other things. Yes rhythm is one of the biggest reasons they are ever used by amateurs and yet, we are not amateurs here so we know the true purpose. The instrument has existed for a little under 100 years. Created first sometime in the 1930s the bass guitar has since driven music nowhere but forward. The idea was that the new design was easier to play and to transport than whatever bass instruments were available at the time. The idea was correct. Soon bass guitars became the preferred source of the honeyed tones. Jazz and blues picked the instrument up and soon enough rock and roll was raging around with the bass guitar as well. The thing is, the bass guitar is part of so many genres that it is hard to say it belongs to one. It is an integral part of our musical experience and yet it is undervalued by many. A shame really. Since there are as many uses for a bass guitar as there are musical genres, it should not be a surprise that there are many types of the instrument. Which might be interesting to you depends on what you want to do with the bass. Some types are way more popular than others, and yet all are important. 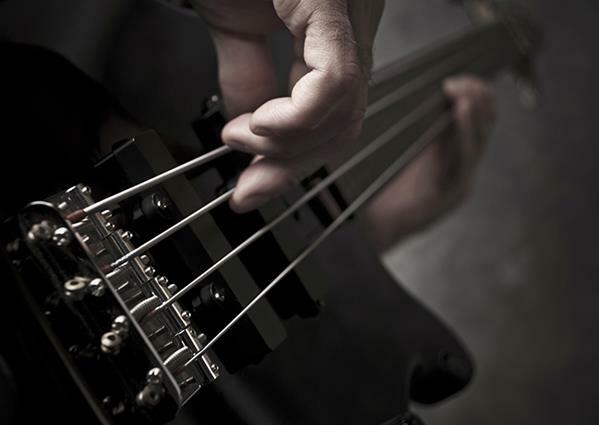 The most widespread of the bass guitar types is the one you see on television the most. Or in the hands of wannabe bands the most. Or on stage the most. The four string electric bass guitar is the most widespread type of bass guitar. It’s simple and comfortable design, combined with the versatility of the four strings make it sufficiently accessible for any level of player. It is also probably the type of bass guitar you are looking to buy. There are a whole slew of options, cheap and expensive, available to any level of player. The best bass guitars, for beginners and otherwise, are all looked at more closely in my other post. Some of you (most of you) might be surprised to find out that yes, indeed, there is an acoustic version of the 4 string electric bass guitar. Mostly developed for the purpose of being played in unplugged concerts and as part of bluegrass and blues bands. These instruments hold a special place in my heart, simply because they are beautiful. Their projection is usually not as powerful as that of an electric bass guitar, yet the handcrafted design gives them a very pleasant flavor. At the very least they are an amazing instrument to have. Back to the non acoustic bass guitars. Not because we don’t love them. Because the electric versions have had developments and twists that you will find exciting. 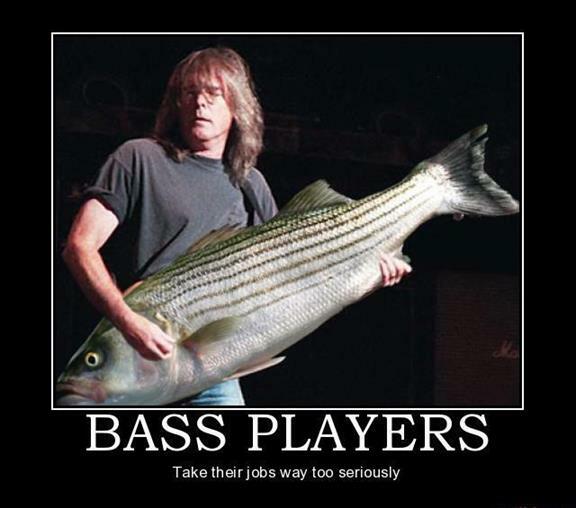 Mainly – the fact that there are bass guitars out there with more than four strings. 5 strings and even all of 6 strings for some crazy people. How? Don’t ask me, I couldn’t do it. I barely was able to learn to play the six strings of a guitar. Yet the bass guitar with extra strings is popular. Giving the player more sounds to mess around with, these bass guitars are usually slightly more expensive and heavier and also a lot more fun than an average 4 string. So what is the magic in making a bass guitar? Where does the marvelous work come from, how does it work and why is so mysterious? Well, first of all, it is not mysterious. Second of all it is not magic. And third of all, there are bass guitars being made all over the world. I just answered your basic question. Now to get to the real stuff. The body of an electric bass guitar is solid, just like that of a solid body electric guitar. This allows a better and more powerful bass response from the guitar. It also prevents any kind of negative feedback from hollow spaces in the body, keeping the sound of the guitar clean and clear. Most bass guitars borrow designs that are similar to your average electric guitar. Why reinvent the wheel right? The neck of the bass guitar is very similar to that of an average guitar. It is longer and heavier though, so the bracing must be better installed. Bolt on or through neck, bass guitars need good construction or else you get problems. Tonewoods – Just like with any other stringed instrument, the tonewoods in a bass guitar impact how the instrument how the instrument actually sounds. So understanding the hardwoods used in bass guitar manufacturing should help you pick the right one. Again I will provide you with a short cheat sheet. You can thank me later. Ash – Powerful resonance, deepish tones, dark colour and beautiful grain all make this wood a great choice. Alder – Balanced and smooth tone. Lightweight, comfortable to carry. Fun times any time Alder is involved! Baswood – It makes sense that basswood would be a popular choice for bass guitars. Though the name does not come from the fact that it is often used fo the guitar (counterintuitive isn’t it?) and the bass is not called so because it is often made of basswood (why would it?). The reason is that basswood has a beautiful resonance with the warm and deep sounds of bass. Enhancing the deepness of the bass guitar is definitely something we can all appreciate in our tonewood. Mahogany – I would say that mahogany is one of the best materials in terms for bass. Deep, dark and full in tone, this tonewood resonates beautifully with the warm sound of the bass. Sturdy and slightly heavy, Mahogany is to me a physical representation of the bass sound. Fretboard: Smooth vs Fretted – One more thing to consider about your bass guitar. There are two ways to fret one – with a smooth fretboard and one that is marked by the frets. The smooth fretboard, while harder to play in precise tune on, is also rest punishing for the fingers. Smooth transitions between tones is also a great benefit. On the other hand the defined frets allow for easier understanding of your positioning in terms of tune. It is entirely up to the musician’s preferences, but still an important detail to consider. The electronics on a bass guitar are not too different from an electric guitar. Pickups, controls and amps, the whole shabang. And yet the slight differences that are there should be looked into. After all it is your business to specialize in the instrument, right? So here goes. First and foremost and most importantly, the pickups. You are not likely to find too many electric bass guitars out there with a single coil pickup. They are not capable of picking up the powerful vibrations of the bass guitar strings without too much feedback and dirt accumulating in the sound. What you will get is a whole bunch of and a great variety of humbucker pickups. These are much better at handling the low end of the sound spectrum. The wide variety of humbucker pickups available for bass guitars is a blessing in disguise.You may get confused or intimidated at first. At some point you will understand what each humbucker has to offer though. This will excite you as you start switching out your pickups according to what you need. Yet in the beginning you will not be needing anything too specific. So keep whatever you get and think about upgrading once you have gotten better at playing the instrument. The controls on the guitar allow you to control volume, distortion and the location of the pickups actually working. This allows you to determine the sound of your bass guitar in detail, even when you are playing. You will find several knobs on your guitar and a level to allow you to work the controls. The amps for the bass guitar are as much part of the instrument as the fretboard. Why? Because you will not be making any sound without the amp. The bass guitar requires a more powerful amp than an average guitar. This is because of the bass guitar producing a more powerful, deeper sound that requires more detailed and powerful amplification. Just like any other instrument, a bass guitar requires certain accessories. Gig bags are instrumental for prolonging the life of a bass guitar. If you don’t have a gig bag, go get one now. If you are thinking of buying a cheap gig bag, think again. These little details in your arsenal of accessories will help you transport the instrument comfortably, protect it from the elements, collisions and from too many random people trying to touch your instrument. Yes that is important. Especially since kids on the street don’t understand boundaries and will attempt to touch anything interesting. Ew. The pick will help you produce a clear sound. While there are many finger style playing techniques for bass guitar, the pick will save you a lot of trouble. Less damage to your fingers and more power to your tones. What else does a musician want? A cool souvenir just in case your superfan (because you are a rockstar) asks for something. Don’t even get me started on straps. Do you want to have to carry around your bass guitar by hand while playing? If you answered yes, think again, because that is impossible. Unless you intend to be playing only one chord for the entire performance. Get a strap and be comfortable while dashing around the stage with your guitar player buddy. Fame and glory comes with hard work. So get your hands on a bass and keep practicing until you are famous and glorious. IT might take a few years (many) but you will eventually get there. When you do, give me a call and tell me I am what helped you get there. Tell me this blog post was the reason you finally got a bass guitar. OR tell me I don’t know what I am talking about. Either way I will be happy to receive a call from a superstar.